NATEXPO 2015 began from 18th to 20th, November, 2015. NanGuang Team was entering Moscow Russia, it was snowing outside, so cold but can’t brought down the passion of this show. NanGuang was at B44, and where were you? introducing products carefully and professional for the visitors, more and more peoples known better of NanGuang products, got good feedback from them. And thanks for Vidau Systems Media Ltd to visited our booth again, hope that we will have a more fruitful cooperation in the following days. So glad that NanGuang had this opportunity to have dinners with all the friends from Vidau, it was a quite pleasure and relax dinner in Moscow. 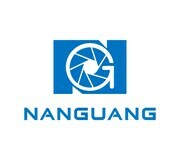 NanGuang is always on the way to offer you best quality lighting for your film and studio, you could find there are always news product from NanGuang booth during exhibitions. Enjoy your time at: www.nglbg.com .